High-flowing, direct bolt-on replacement for the factory bulky and restrictive catalytic converters. Note: Competition use only, not CARB approved. 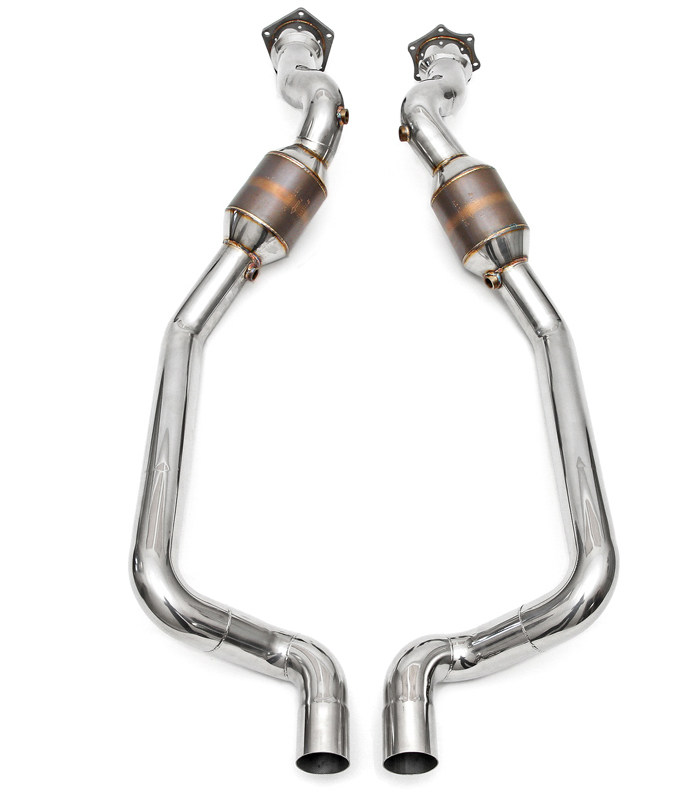 This set of Sport Catalytic Converters replaces the restrictive factory catalytic converters with much less restrictive high-flow sport cats for maximum flow and performance. This system is a straight bolt on kit meaning no welding or cutting, and is constructed out of highest quality T304 stainless steel that is then C.N.C. mandrel bent. Featuring a 9lb weight reduction, these 200cpsi sport cats are emissions safe (49 states, not CARB approved) and will not cause a check engine light. 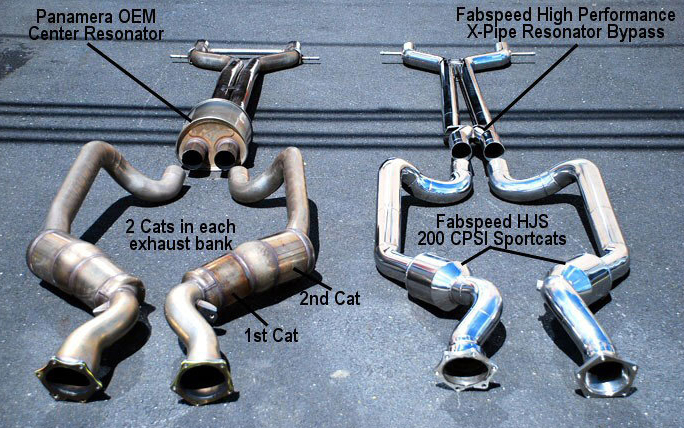 All this adds up to create an exhaust for your Porsche Panamera Turbo  like no other with an increase in power you'll love. Simple bolt-on high flow catalytic converters. 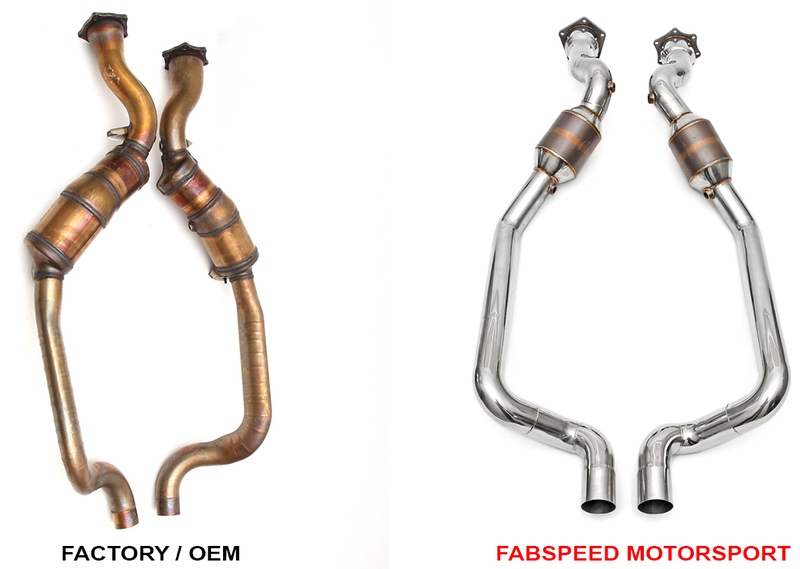 Questions about installing these Fabspeed Sport Catalytic Converters for Porsche Panamera Turbo/Turbo S ? Get help from one of our Modification Experts online or by calling 714-582-3330. ModBargains also offers expert installation and can install this downpipe for you. Call today!